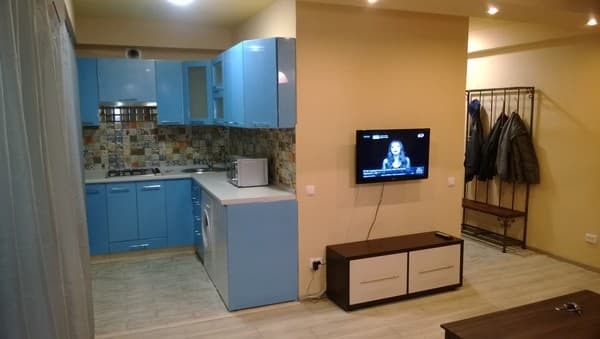 Apartment "on Zhukov" is located in Lugansk, 300 meters from the city center. 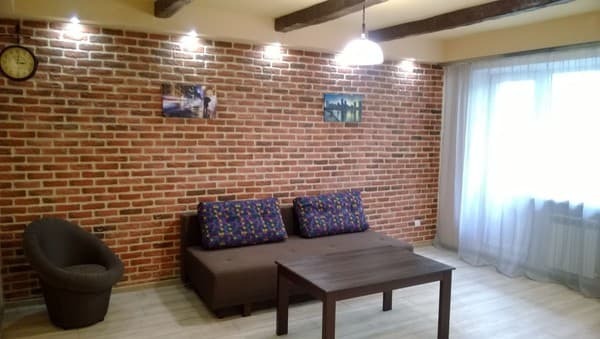 The one-bedroom apartment is suitable for 4 people. The bedroom is equipped with a double bed with orthopedic mattress, wardrobe. The living room has a sofa bed, a flat-screen TV. For self-cooking a small kitchen area is equipped. In the kitchen, guests can use the fridge, microwave, electric kettle, crockery. Nearby there are many shops, cafes, a local market. 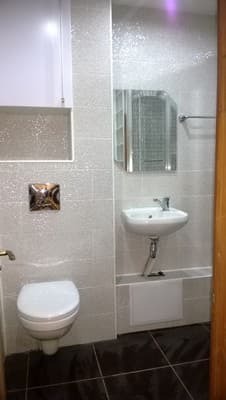 In the bathroom there is a washing machine. Free Wi-Fi is available throughout the apartment. The distance from the apartment "Zhukov" to the railway station is 4.3 km, to the bus station - 7 km. 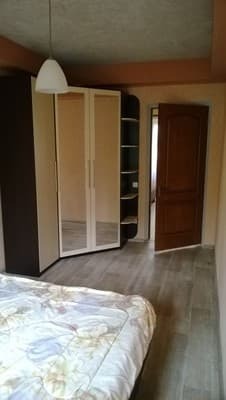 Description of the room: The one-bedroom apartment is decorated in light colors. It is provided for a comfortable stay of 4 people. For self-cooking a small kitchen area is equipped. In the kitchen, guests can use the fridge, microwave, electric kettle, crockery. Nearby there are many shops, cafes, a local market. 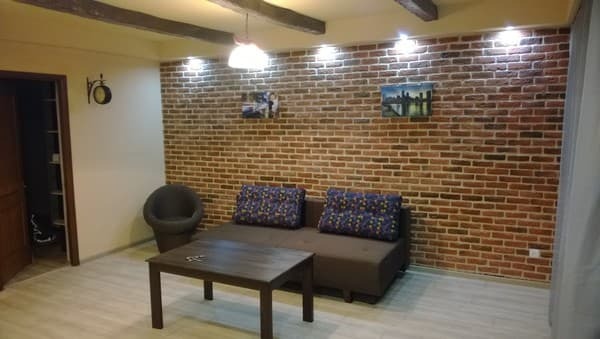 Apartment "on Zhukov" is located in Lugansk, 300 meters from the city center. The distance from the apartment "Zhukov" to the railway station is 4.3 km, to the bus station - 7 km. From the bus station on any public transport towards the center or by taxi.